Published 75 years ago, Four Quartets is considered the crowning achievement of TS Eliot’s career as a poet. Today three visionaries respond to the cycle in a ravishing union of dance, music and art. Celebrated New York-based choreographer Pam Tanowitz taps into Eliot’s four-part poem, a mysterious meditation on past and present, time and space, movement and stillness, replete with images of dance. Her ten-strong ensemble moves lavishly through glorious solos and duets to a beguiling score by Finnish composer Kaija Saariaho played live by Colin Jacobsen (The Knights) and soloists from Britten Sinfonia, while actor Kathleen Chalfant narrates from the stage, capturing the dynamic and kinetic language of Four Quartets. 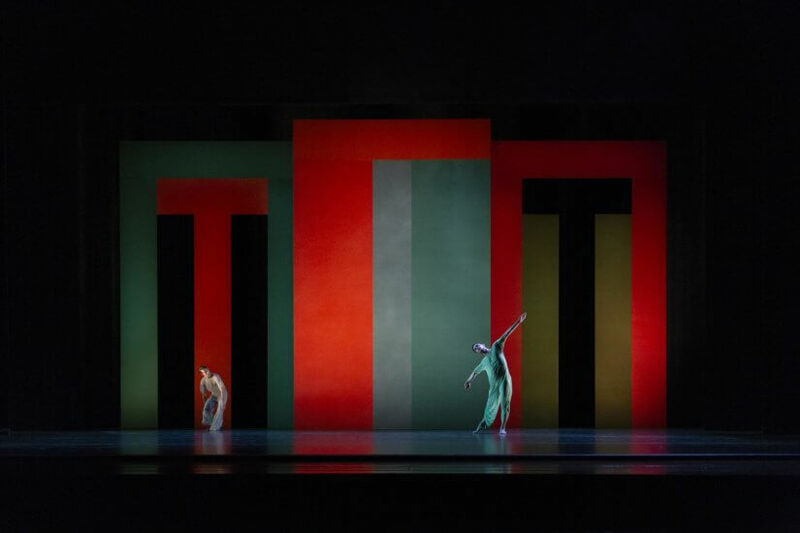 The evocative stage design centres on paintings by major American artist Brice Marden, their exquisite colours and strokes each making connections to the geographical locations of the masterpiece’s four individual parts. Containing piercing and unforgettable literary passages, this unprecedented collaborative performance of the work is the first to be authorised by the TS Eliot Estate. Co-commissioned by the Barbican, the Bard Fisher Center, where it received its world premiere in Bard SummerScape 2018, the Center for the Art of Performance at UCLA, and Lincoln Center for the Performing Arts. GAGOSIAN is the lead corporate sponsor of Four Quartets. Major support provided by Rebecca Gold. Additional commissioning funds were provided by the Virginia B. Toulmin Foundation, the O’Donnell-Green Music and Dance Foundation, the T. S. Eliot Foundation, King’s Fountain, Virginia and Timothy Millhiser, and Cultural Services of the French Embassy. Creation of the music was supported by the Thendara Foundation and New Music USA.